It's summertime which means it's smoothie time! 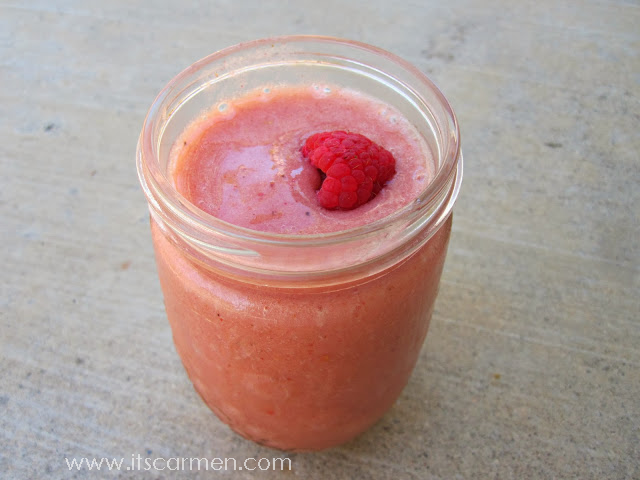 You can always make a fresh fruit smoothie as an easy cheap vegetarian or vegan recipe. Why? Because fruits are amazing for you! Fruits may reduce your risk of cancer and other chronic diseases, according to the Centers for Disease Control and Prevention (CDC). Plus, they contain many vital nutrients, vitamins and minerals. Sounds like a no-brainer to me. Why make this easy cheap vegetarian recipe? It's simple. It's healthy, delicious, & nutritious. Best of all, my recipe is under 200 calories! Jamba Juice's Banana Berry Smoothie is 280 calories and Smoothie King's Banana Berry Treat is 364 calories. Look at my nutrition label down below. My fresh fruity smoothie contains over 25% of your daily fiber! Simply add the items in the order listed. Blend. Feel free to add more liquid if it's too thick for you. I prefer a thick, creamy texture compared to a runny juice. But that's just me. 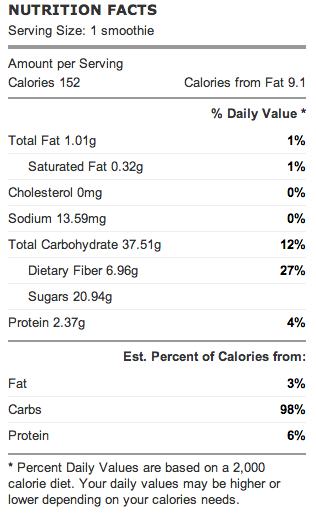 Nutrition facts for my Strawberry Banana Raspberry Smoothie. I have all of those ingredients at home and will have to try out this recipe after work today! Looks like a very refreshing and delicious smoothie! love finding new smoothie recipes, thanks for sharing! Love homemade smoothies! Helps reduce my binge eating. :) Thanks for sharing Carmen. This looks gorgeous, I love smoothies! I haven't actually tried almond milk in them but I've heard it tastes amazing! Def gonna try this out! Thanks for sharing! I looove smoothies!! They're so easy and perfect for a healthy lifestyle !! 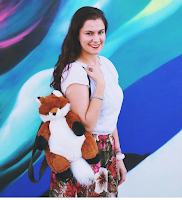 Oh and I am obsessed with your blog. It's awesome ! !